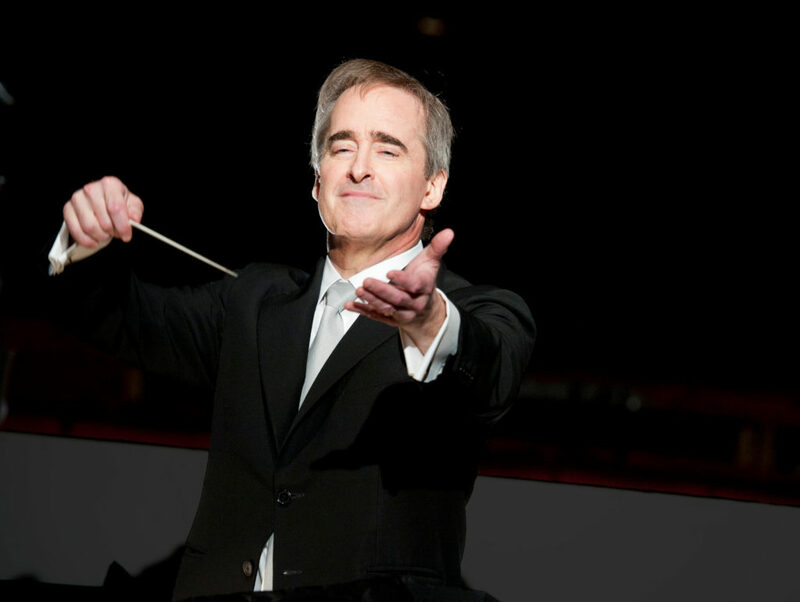 James Conlon, one of today’s most versatile and respected conductors, has cultivated a vast symphonic, operatic and choral repertoire. He has conducted virtually every major American and European symphony orchestra since his debut with the New York Philharmonic in 1974. Through worldwide touring, an extensive discography and videography, numerous essays and commentaries, frequent television appearances and guest speaking engagements, Mr. Conlon is one of classical music’s most recognized interpreters. “I lay all the glory for this performance at the feet of Music Director James Conlon. The LA Opera Orchestra ripped into this score with a ferocity and a technical skill that I have never heard before..."
Mr. Conlon is Music Director of the Los Angeles Opera (since 2006) and Principal Conductor of the RAI National Symphony Orchestra in Torino, Italy (since 2016), where he is the first American to hold the position since the orchestra was founded in 1931. He has been Principal Conductor of the Paris Opera (1995-2004); General Music Director of the City of Cologne Germany (1989-2003), simultaneously leading the Gürzenich Orchestra and the Cologne Opera; and Music Director of the Rotterdam Philharmonic Orchestra (1983-1991). He has served as the Music Director of the Ravinia Festival, summer home of the Chicago Symphony (2005-2015) and is now Conductor Laureate of the Cincinnati May Festival―the oldest Choral Festival in the United States―where he was Music Director for 37 years (1979–2016), marking one of the longest tenures of any director of an American classical music institution. As a guest conductor at the Metropolitan Opera, he has led more than 270 performances since his 1976 debut. He has also conducted at the leading opera houses of Milan, Vienna, St. Petersburg, London, Rome, and Florence. "Conlon is one of the maestros who should have a regular place in every season and in the most diverse repertory." 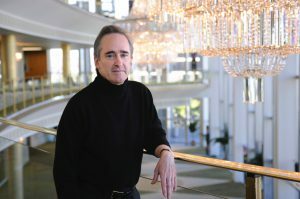 As LA Opera Music Director since 2006, Mr. Conlon has led more performances than any other conductor in the company’s history—to date, nearly 350 performances of more than 50 different operas by over 20 composers. This season he conducts Verdi’s Don Carlo (with Plácido Domingo) and La traviata―the two operas with which he inaugurated his first season in 2006―Humperdinck’s Hänsel und Gretel, and the company premiere of Mozart’s La clemenza di Tito, staged in a new production by Thaddeus Strassberger. 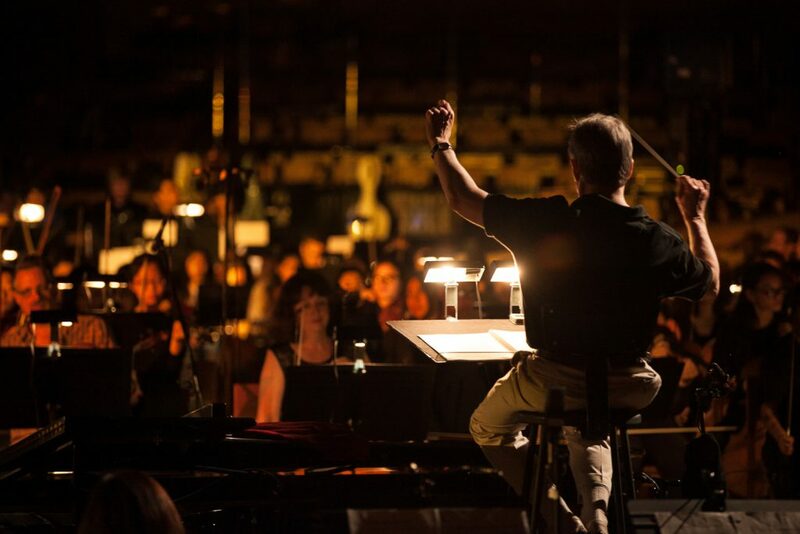 Highlights of his LA Opera tenure include conducting the company’s first Ring cycle, initiating the groundbreaking Recovered Voices series, and spearheading Britten 100/LA, a city-wide celebration honoring the centennial of the composer’s birth. His pre-concert lectures at LA Opera consistently attract capacity crowds. Also in the U.S. this season, Mr. Conlon continues his commitment to working with young musicians, both at the New World Symphony in Miami Beach (with Pinchas Zukerman as soloist) and at the Music Academy of the West in Santa Barbara, where he conducts Mozart’s The Marriage of Figaro. Currently in his third season as Principal Conductor of the RAI National Symphony Orchestra, Mr. Conlon focuses on 20th-century Italian composers Giuseppe Martucci, Leone Sinigaglia, and Ottorino Respighi, as well as works by Mahler, Martinů, Mozart, Mussorgsky, Wagner, and Zemlinsky. In addition, he leads the Verdi Requiem, and The Creation by Haydn. Mr. Conlon’s symphonic repertoire this season also includes three Shostakovich symphonies with three different orchestras: No. 7 (“Leningrad”), marking a return to the Gürzenich Orchester in Cologne; No. 9 with RAI National Symphony Orchestra; and No. 12 (“The Year of 1917”) with the Orquesta Sinfonica Nacional de Galicia. 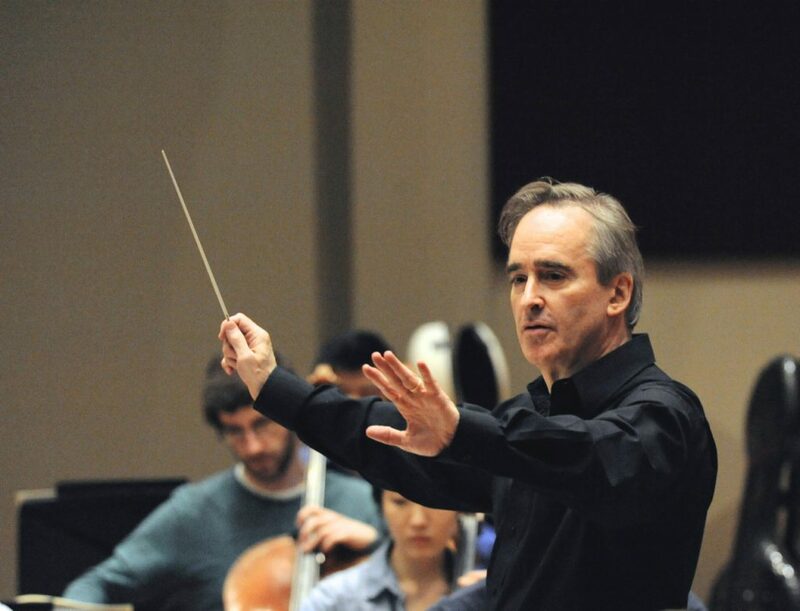 Mr. Conlon focuses on the works of Verdi this season, and conducts over 35 performances of seven works in the span of twelve months, including his 500th performance of the great Italian composer’s music. In addition to conducting Verdi in Los Angeles and Vienna, Mr. Conlon returns to the Wiener Staatsoper, after making his debut with the opera house conducting Mussorgsky’s Khovanshchina in 2015, to lead performances of Falstaff in June 2018 and January 2019, and Macbeth in May 2019. He also leads the Teatro Real (Madrid) premiere of the composer’s Giovanna d’Arco in concert (with Plácido Domingo) and the Messa da Requiem with the RAI National Symphony Orchestra. "[The orchestra] played brilliantly; James Conlon, in the pit, obtained a performance rich in impressionistic atmosphere... unsentimentally potent in effect." In an effort to call attention to lesser-known works of composers silenced by the Nazi regime, Mr. Conlon has devoted himself to extensive programming of this music throughout Europe and North America. In 2013 he was awarded the Roger E. Joseph Prize at Hebrew Union College-Jewish Institute of Religion for his extraordinary efforts to eradicate racial and religious prejudice and discrimination; in 2007 he received the Crystal Globe Award from the Anti-Defamation League; and in 1999 he received the Zemlinsky Prize for his efforts in bringing that composer’s music to international attention. His work on behalf of suppressed composers led to the creation of The OREL Foundation, an invaluable resource on the topic for music lovers, students, musicians and scholars, and the Ziering-Conlon Initiative for Recovered Voices at the Colburn School. His appearances throughout the country as a speaker on a variety of cultural and educational topics, including recently at New York’s Neue Galerie and Italian Cultural Institute, are widely praised. "One of America's foremost conductors..."
His extensive discography and videography can be found on the Bridge, Capriccio, Decca, EMI, Erato and Sony Classical labels. His recordings of LA Opera productions have received four Grammy® Awards, two respectively for John Corigliano’s The Ghosts of Versailles and Kurt Weill’s Rise and Fall of the City of Mahagonny. Additional highlights include an ECHO Klassik Award-winning recording cycle of operas and orchestral works by Alexander Zemlinsky; a CD/DVD release of works by Viktor Ullmann, which won the Preis der deutschen Schallplattenkritik; the world premiere recording of Liszt’s oratorio St. Stanislaus; among others. Mr. Conlon holds four honorary doctorates and has received numerous other awards. He was one of the first five recipients of the Opera News Awards, and was honored by the New York Public Library as a Library Lion. He was recently named Commendatore Ordine al Merito della Repubblica Italiana by Sergio Mattarella, President of the Italian Republic. He was named Commandeur de L’Ordre des Arts et des Lettres by the French Minister of Culture and, in 2002, received France’s highest honor, the Legion d’Honneur from then-President of the French Republic Jacques Chirac.